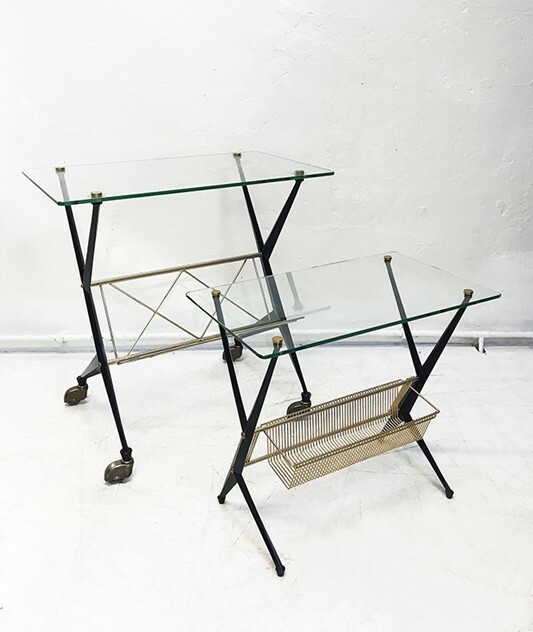 Fabulous 1950s Italian side tables designed by Angelo Ostuni for Frangi Milano made of brass, steel and glass. In excellent original condition with minimal signs of wear. Molecula specialises in modern design and artifacts primarily but not exclusively from the 20th century. Living a vintage lifestyle has meant that our taste not only includes interiors but also fashion, watches and jewellery, classic cars, motorcycles and pedal cycles where possible.